Fulltone Supa Trem 2 is based on the extreme popular ST-1 and uses two identical circuits. 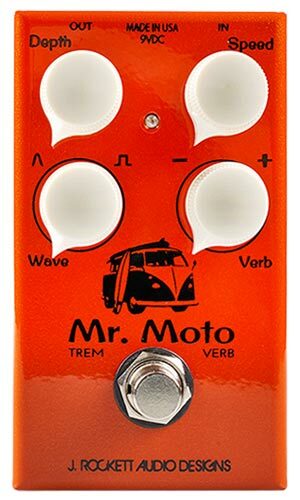 It is a true stereo tremolo pedal with two INs and two OUTs. 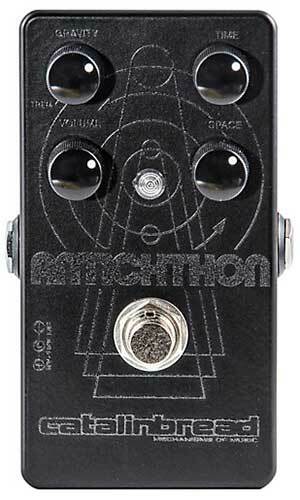 It has got enhanced-bypass thanks to hi-quality JFET buffered outputs. The ST-2 is the IDEAL device to place at the end of your chain, run cables as long as you want, use it as your amp splitter. 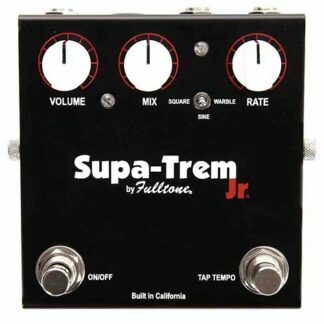 The pedal has Tap Tempo with speeds so slow that it takes 6+ seconds to pan between the outputs, or super-fast speeds in excess of 200bpm. 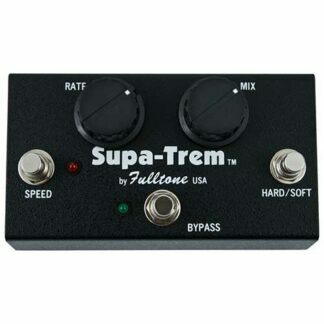 True Half-Speed/Double-Speed function by holding down on the Tap Tempo switch for 3/4 of a second. 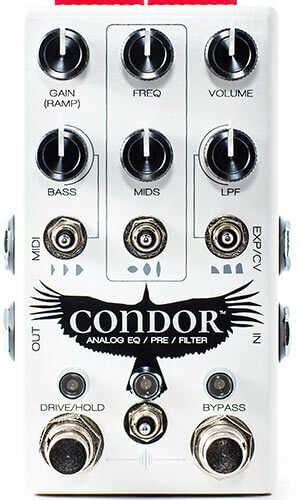 It has a Phase Correlation Knob: a Fulltone exclusive allowing you to throw the outputs ANY degree IN or OUT of Phase with each other. 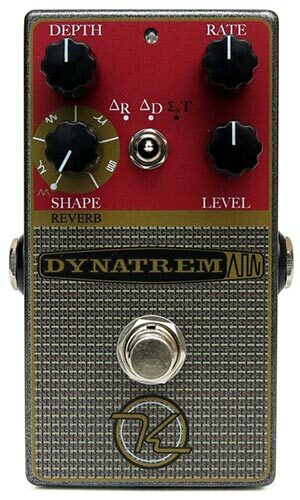 The Volume Knob has 15db of available Boost… turn down the Mix control and this pulls double-duty as one of the finest Clean boosts ever. There is a 3-way Waveform switch with Sine, Square or Warble options. Use standard Sine wave for everyday gigs, true Square wave brutally abrupts and chops the signal and Warble is an organic vintage Leslie/ Univibe waveforms. 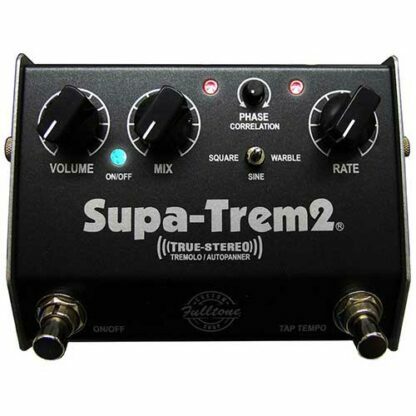 New ST-2s run off 18 volts, and you haven’t heard anything like this until you run it at 18 volts…more headroom, more bass, less distortion, unreal!